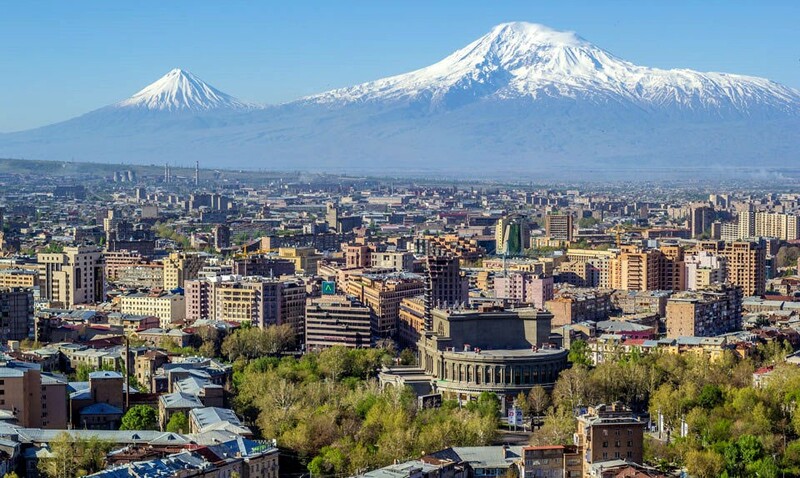 This comprehensive 8 days/7 nights Georgia & Armenia Tour across the South Caucasus presents travelers with the chance to explore these two countries through their cuisine, architecture, and idyllic countryside. 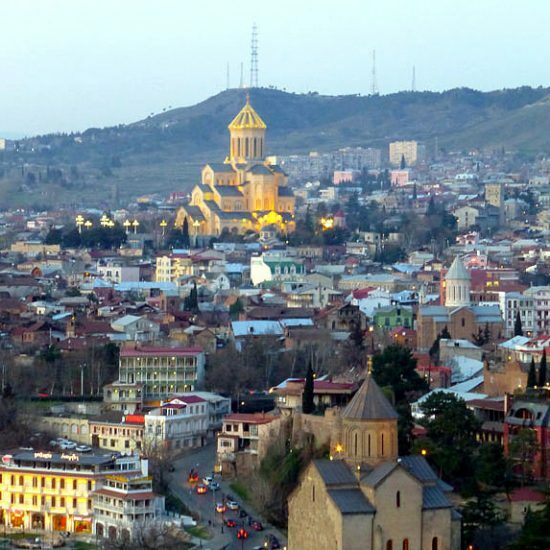 Georgia and Armenia have centuries of history and captivating culture to draw upon. Beginning and ending in beautiful Kutaisi, spend your days on fascinating trips to Tbilisi and Caucasus Mountains, and savor the best of Armenia’s appealing destinations, such as the Lake Sevan and the Khor Virap Monastery at the foothills of the majestic Biblical Mount Ararat. min 2 persons - $975 p.p. min 4 persons - $695 p.p. Arrival to David the Builder Kutaisi International Airport in the morning. Meet your Travel Agency representative in Georgia. Drive to Tbilisi. Stop at Gori, the town where the Joseph Stalin was born and went to school. Visit the large museum devoted to Stalin, the Gori’s best known attraction. Breakfast. Continue to Tbilisi. Start exploring Tbilisi, the capital and the largest city of Georgia. Stop by the Abanotubani District, renowned for its sulfur baths. In the heart of Tbilisi’s old town, the district of Abanotubani is perhaps one of the city’s iconic spots. These subterranean bathhouses date back to the 17th century and have been a favorite for travelers to the city, whose more famous bathers have included Pushkin and Alexandre Dumas. 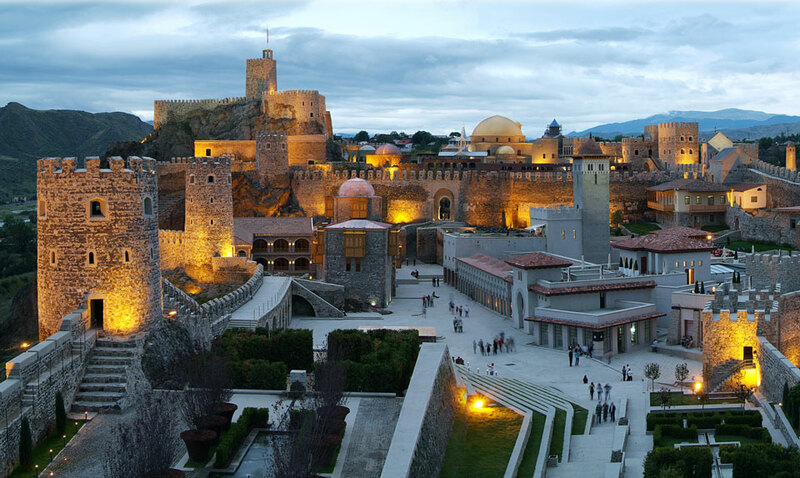 Take a cable car to the 4th century Narikala Fortress, and get a superb panoramic view of Tbilisi, with its hanging houses, the historic Metekhi Church and the gold-topped Sameba Cathedral. Views also sweep down to the glass Peace Bridge, the gorge of the River Mtkvari and the picturesque spurs of the Trialeti Range. Visit the Holy Trinity Cathedral, commonly called Sameba ("Trinity" in Georgian). With its gold-topped roof, it’s easy to spot the Sameba in most places in the city and catch its golden light. The Holy Trinity Cathedral is the largest religious building in the area of the South Caucasus, and it’s the main cathedral of Georgia with the seat of the Catholicos Patriarch of All Georgia. 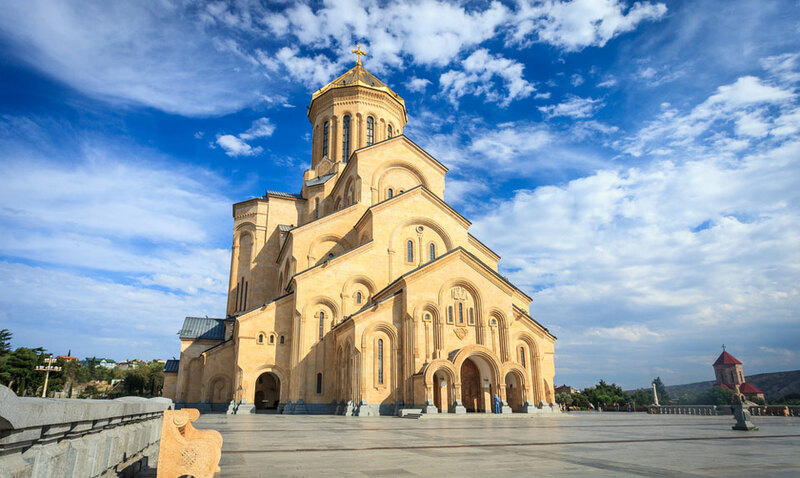 Visit the Sioni Cathedral. The most significant relic of the cathedral is the venerated Grapevine Cross, which, according to a tradition, was forged by St. Nino, a Cappadocian woman who preached Christianity in Georgia in the early 4th century. The Cross of St. Nino, according to legend, is made from the vine branches bound with the saint’s own hair. Visit on a Sunday morning and enjoy the singing by the Sioni Boys’ Choir. 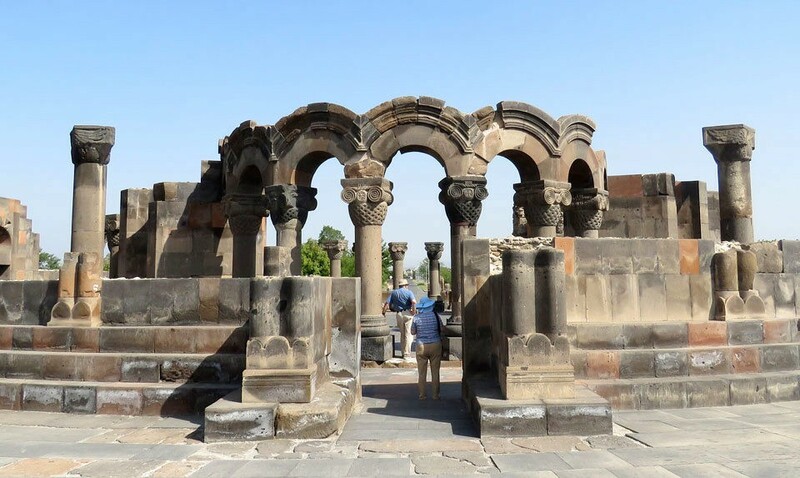 Visit the 5th century Anchiskhati Basilica, the oldest of the surviving city churches. Check into a hotel. Overnight in Tbilisi. Breakfast. Take the Georgian Military Road across the Caucasus Mountains, a major route through the Caucasus from Georgia to Russia. 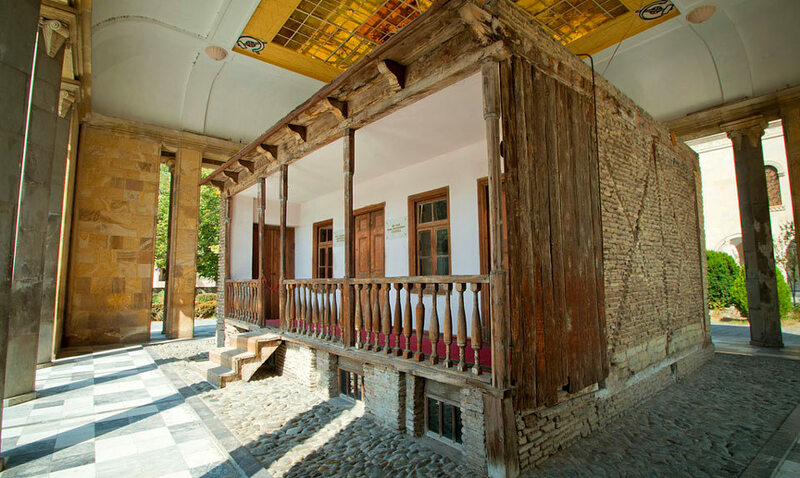 Visit the Mtskheta and Jvari Complex. Mtskheta is one of the oldest continuously inhabited cities in the world, and has been Georgia’s spiritual heart since Christianity was established here in about 327, and holds a near-mystical significance in Georgian culture. 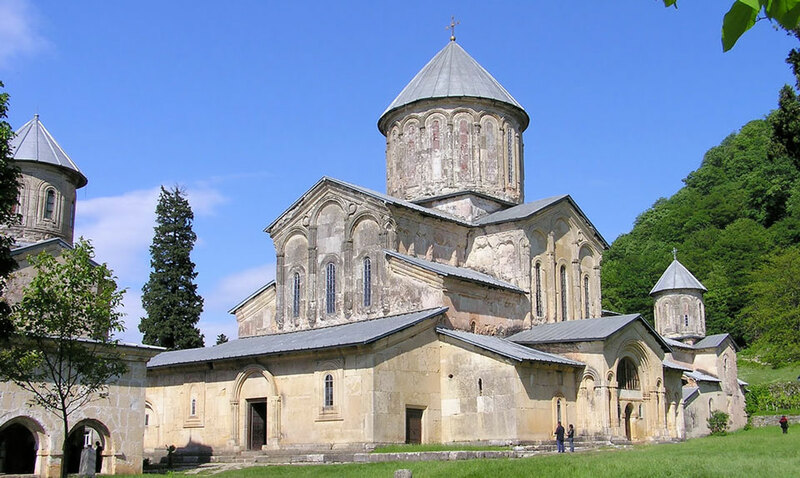 Visit the 11th century Svetitskhoveli Cathedral, where the Robe of Jesus Christ is believed to be buried. Both Jvari and Svetitskhoveli are UNESCO World Heritage Sites. 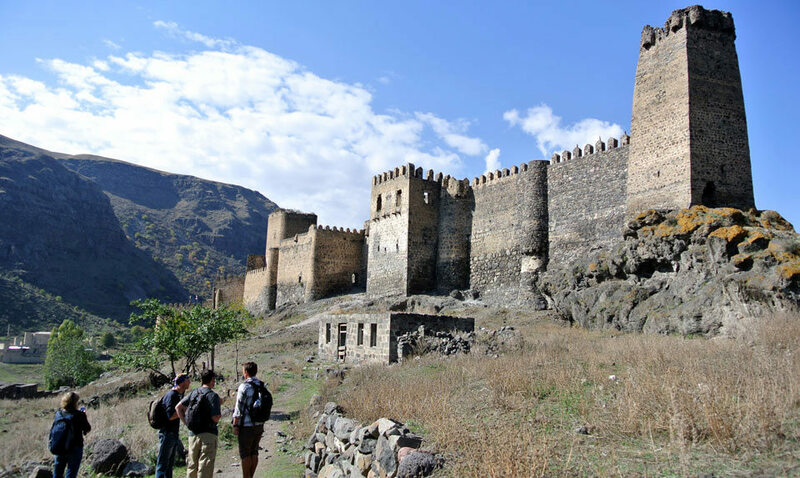 Visit the 17th century Ananuri Castle, the seat of power of medieval Georgian dukes of Aragvi, and presently, one of the most scenic fortresses of Georgia. Continue to the ski resort of Gudauri, whose bare hillsides make for Georgia’s best downhill ski runs. Stop at the Jvari Pass (Pass of the Cross), the highest point of the Georgia Military Road, where it reaches its maximum altitude of 2,379m above the sea level. 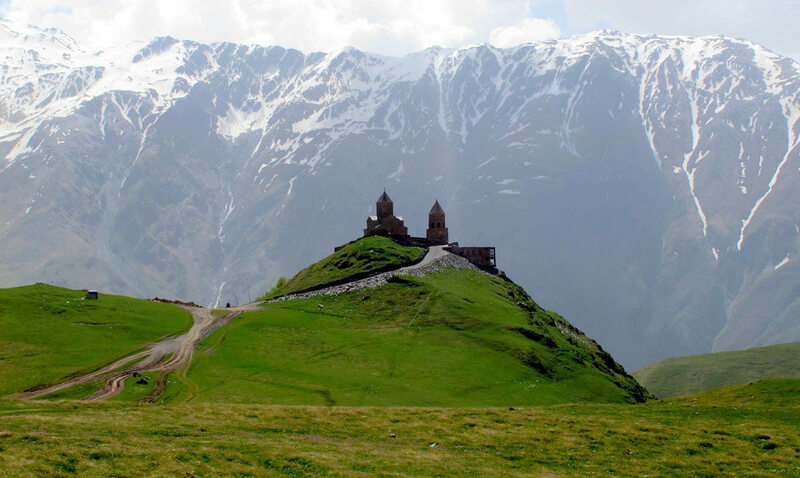 Continue to Kazbegi, a valley town at about 1,750m above sea level, just a few miles short of the Russian border. 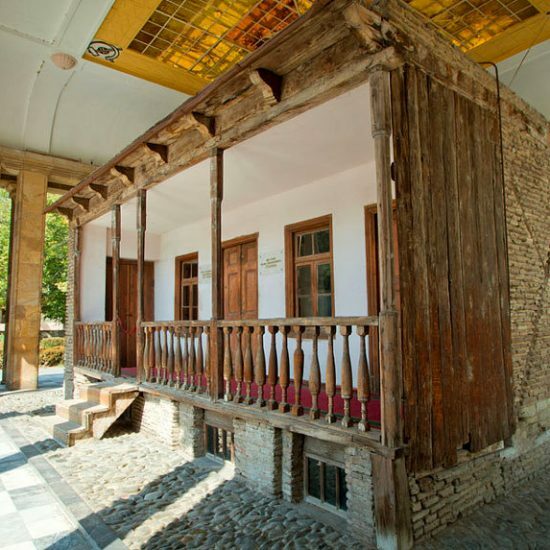 Near the village of Gergeti, take a local Jeep to make it up the hill to visit the 14th century Gergeti Trinity Church. During the dark times, the precious relics from Mtskheta, including the St. Nino's Cross were taken here for safekeeping. Enjoy the views of the snowy peak of Mt. Kazbek towering to the west. Return to Tbilisi. Overnight in Tbilisi. Breakfast. Check out from hotel. Drive to the Georgia-Armenia border and arrive at the Sadakhlo-Bagratashen border crossing. After border formalities, change the guide and transportation. 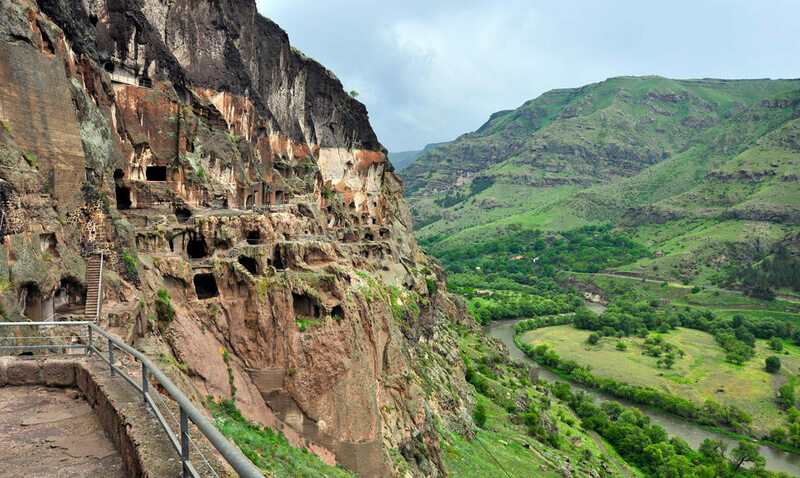 Start the Armenian part of the tour and continue to Alaverdi, the largest city in the Debed Canyon, an area rich with historical monuments and natural beauty. Visit the 10th century Haghpat Monastery (UNESCO World Heritage Site). Visit the moss-covered 10th century Sanahin Monastery, a fascinatingly detailed monastery complex, packed with ancient graves, darkened chapels and medieval gallery schools (UNESCO World Heritage Site). 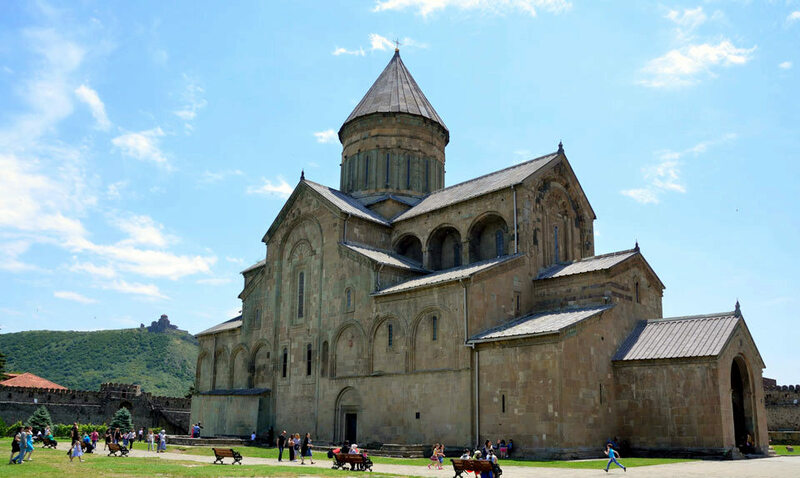 These two magnificent monastic complexes are among the most outstanding examples of Armenian religious architecture. Drive to Dilijan, a resort town renowned for its charming nature and some traditional Armenian architecture. Stroll through the Dilijan’s Historic Center, the cobbled Sharambeyan Street, with its collection of stone and wooden traditional buildings, shops, restaurants, souvenir stalls and workshops. Continue to Lake Sevan. 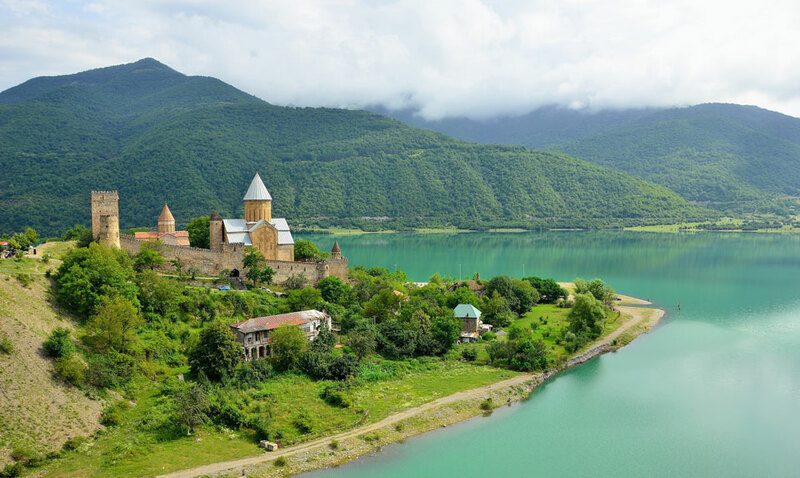 The lake's proximity to Yerevan, coupled with its cooler summer temperatures, outstretched blue waters and historic sights make it one of Armenia’s key places to visit. 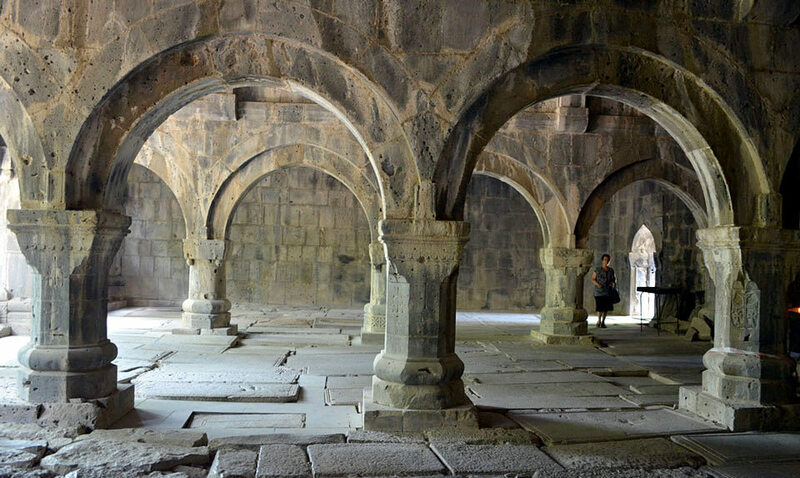 Walk up to the 8th century monastery of Sevanavank on Sevan peninsula. Continue to Yerevan. Check into a hotel. Overnight in Yerevan. Breakfast. Drive to the Khor Virap Monastery, where the Mt. 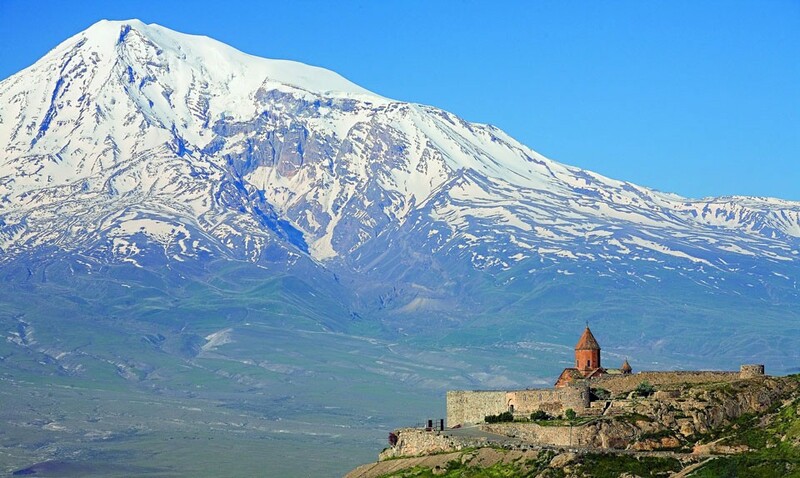 Ararat reveals its breathtaking size and splendor. 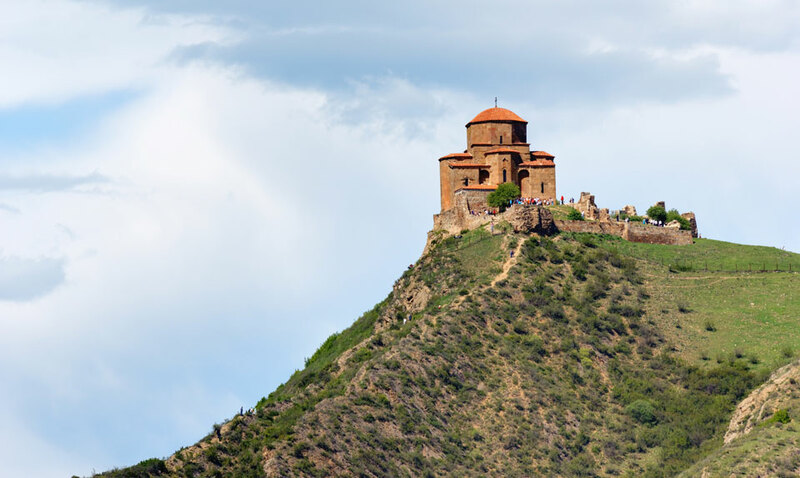 Khor Virap is one of the most popular destinations in Armenia, primarily because it is where the St. Gregory the Illuminator, the future head of the Armenian Apostolic Church, was imprisoned here for 13 years. 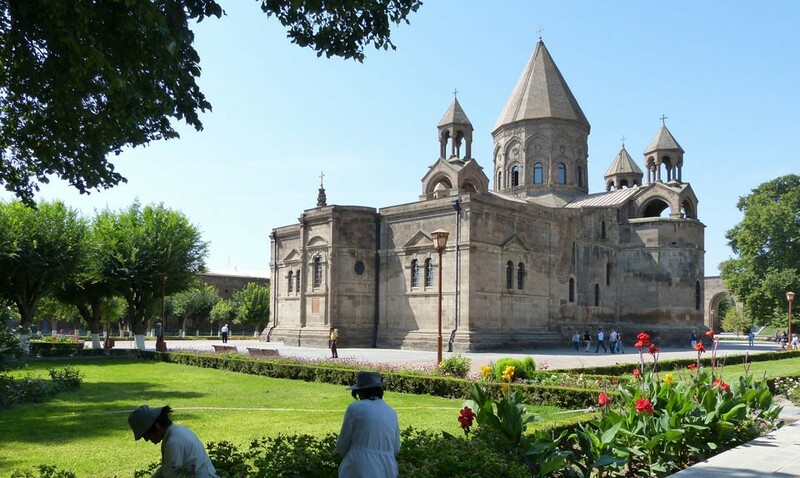 Drive to Echmiadzin, the spiritual and administrative center of the Armenian Apostolic Church. 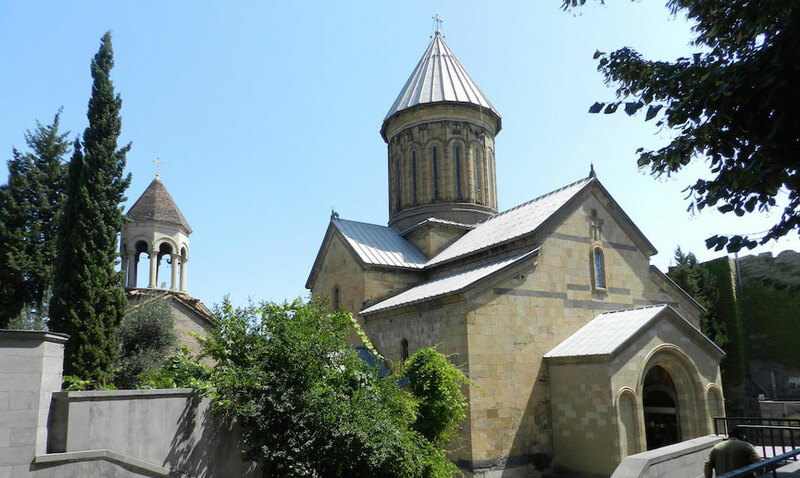 Visit the churches of St. Hripsime and St. Gayane (UNESCO World Heritage Sites). Visit the Main Cathedral of Echmiadzin, the oldest state-built church in the world, having been built by St. Gregory the Illuminator in 303 AD (UNESCO World Heritage Site). Visit the Echmiadzin Cathedral's Museum, where amongst other relics, you can see the Holy Spear, with which Jesus Christ was pierced on the cross. Drive back to Yerevan. En route to Yerevan visit ruins of the 7th century Zvartnots Temple (UNESCO World Heritage Site). Zvartnots Cathedral was destroyed by an earthquake in 930 AD, and was lost to history until its discovery in the early 20th century. Return to Yerevan. Take a tour of the "Ararat" Brandy Factory, featuring degustation of the two types of the world renowned Armenian brandy. Stop at the popular fruit market "Shouka" to buy traditional sweets and dry fruits. 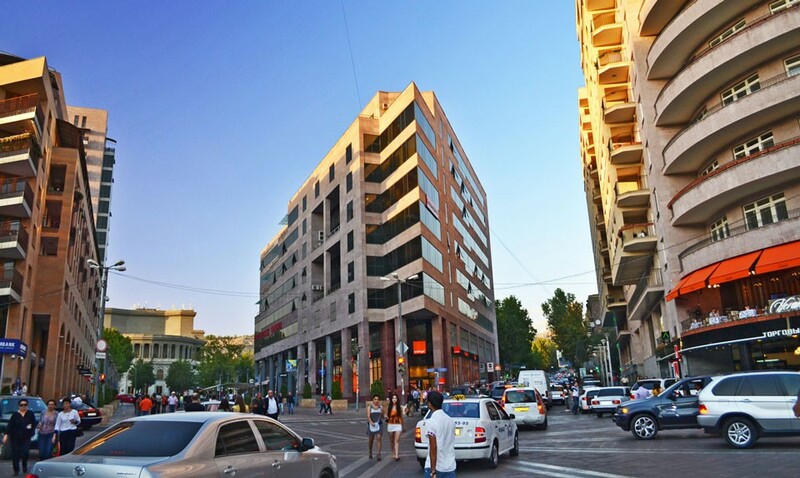 Overnight in Yerevan. Breakfast. 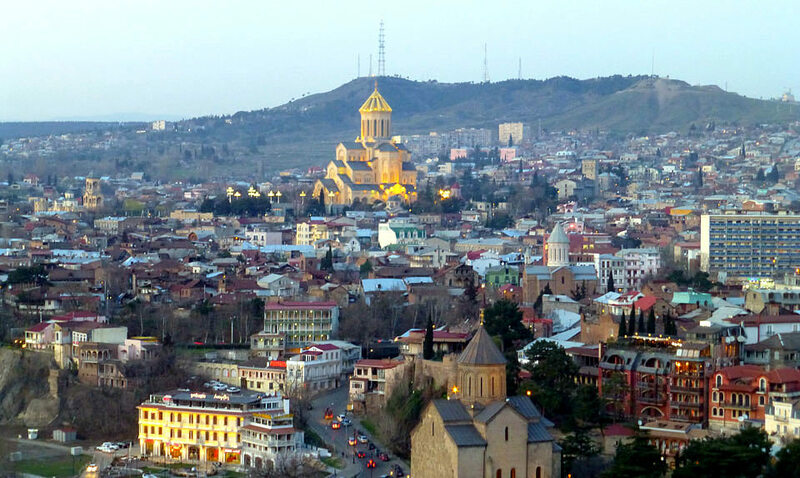 Start exploring Yerevan, the Armenia’s capital city and one of the oldest cities in the world. Stop at the Victory Park and Mother Armenia monument to get a spectacular view of the Biblical Mt. Ararat with a panorama of central Yerevan. Visit one of the richest depositories of manuscripts and books in the world, the Matenadaran Institute of Ancient Manuscripts. Take a walking tour of the Cascade Complex, with its Sculpture Park and Cafesjian Center for the Arts. 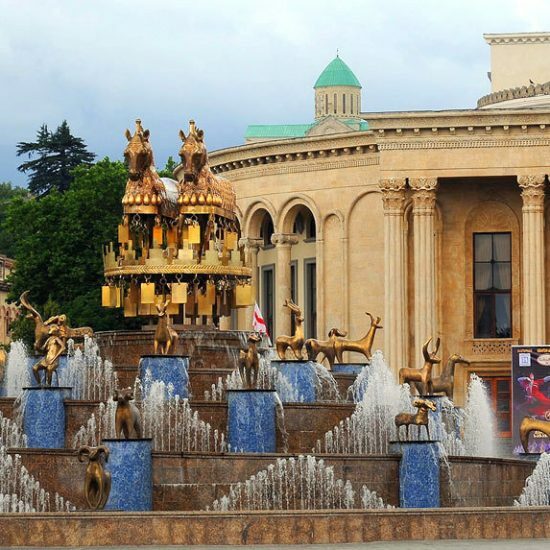 Visit the magnificent building of the Opera House, the postmodern Northern Avenue and the city's main Republic Square. Be sure to return to Republic Square after dark to see the "Dancing Fountains", a choreographed water show synched with lights and music (The fountains are on from May until the end of October). Continue to the Armenian Genocide Memorial Complex on the hills of Tsitsernakaberd. The Armenian Genocide Memorial Complex houses both the Armenian Genocide Museum, and the Tsitsernakaberd Genocide Memorial. Drive to one of the most beautiful monasteries in Armenia, the 13th century cave monastery of Geghard (UNESCO World Heritage Site). The name of the monastery originates from the spear, which had wounded Jesus at the Crucifixion, allegedly brought to Armenia by Apostle Jude, and currently stored amongst many other relics in the Echmiadzin's Cathedral Museum. Continue to the oldest surviving building on the territory of Armenia, the 1st century Garni Pagan Temple. 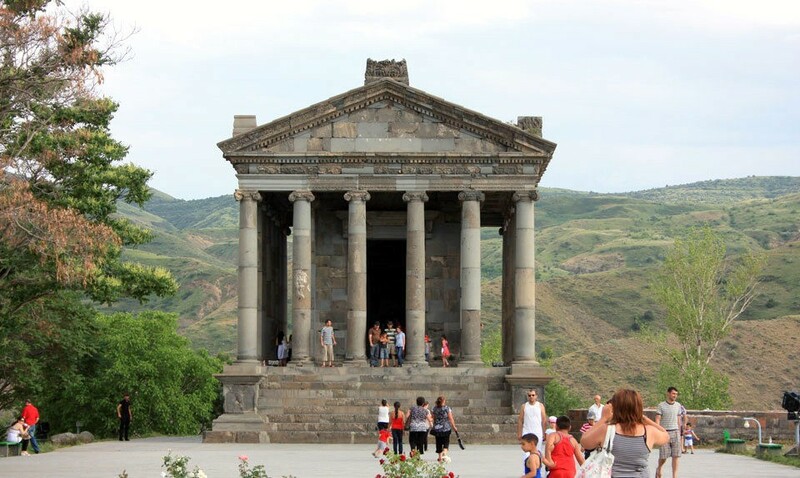 The Garni Temple was built by the Armenian King Tiridates with the money he received after visiting Emperor Nero in Rome, and was dedicated to Sun God Mithra. Return to Yerevan. Overnight in Yerevan. Breakfast. Check out from hotel. Drive to the Armenia-Georgia border. 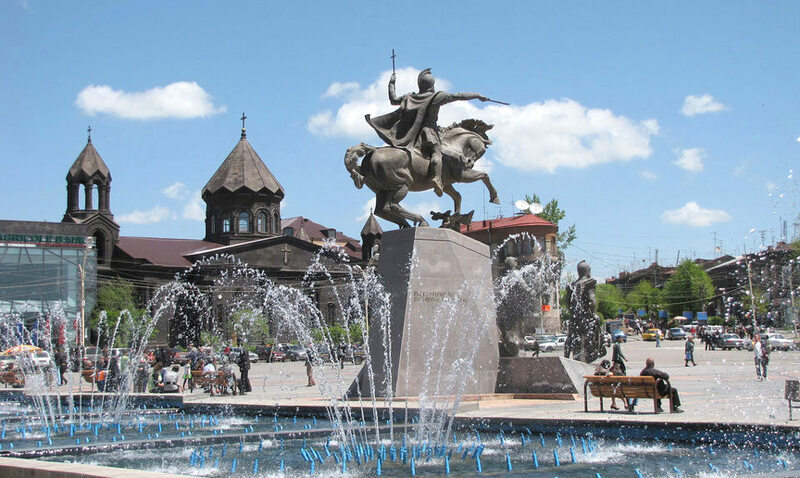 Pass through Gyumri, the second largest city in Armenia and the capital of Shirak Province in Northern Armenia. Arrive at the Bavra-Ninotsminda border crossing. After border formalities, change the guide and transportation. Start the second Georgian part of the tour and continue to Akhaltsikhe. Stop at the 14th century Khertvisi Fortress. According to the legend, Khertvisi was one of the first fortresses that was destroyed by Alexander the Great. The part of the fortress, the tunnel leading to the river, and a high tower have remained unharmed. Continue to the cave complex of Vardzia. The cave city was dug into the side of the Erusheli Mountain and it was founded by Queen Tamar in 1185. The monastery was constructed as protection from the Mongols, and consisted of over six thousand apartments in a thirteen story complex. Continue to Akhaltsikhe. Arrive in Akhaltsikhe, a regional administrative center for the Ottomans from the 16th century up to the Russo-Turkish War. Check into a hotel. Overnight in Akhaltsikhe. Breakfast. Check out from hotel. Drive to Kutaisi. Stop at the city park in Borjomi and enjoy the world renowned "Borjomi" mineral water. 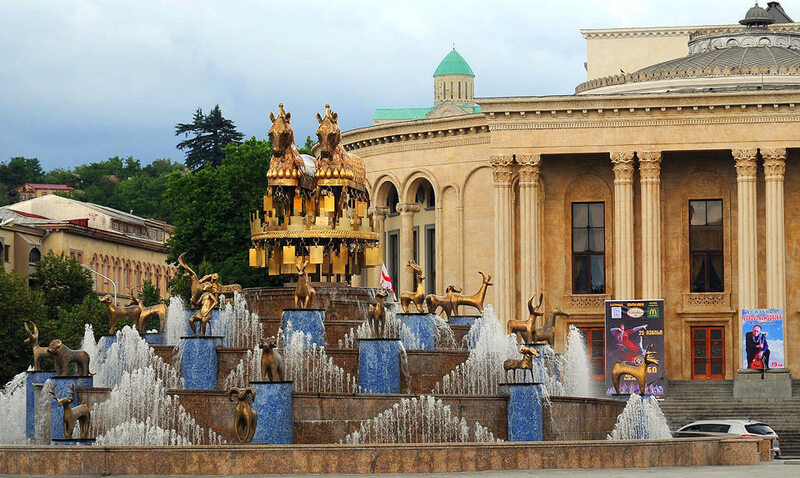 Continue to Kutaisi, the second largest city of the country. It is widely believed by historians that when Apollonius Rhodius was writing about Jason and the Argonauts and their legendary journey to Colchis, Kutaisi was the final destination of the Argonauts and the residence of King Aeëtes. Arrive in Kutaisi. From the Jachvis Khidi (Chain Bridge), walk up cobbled streets lined with attractive houses and gardens to the splendid 11th century Bagrati Cathedral on Ukimerioni Hill. Visit the 11th century Gelati Monastery (UNESCO World Heritage Site). Gelati was founded by King David the Builder in 1106 as a center for Christian culture and Neoplatonist learning, and many Georgian rulers were buried here, including David himself and Queen Tamar. Check into a hotel. Free time for your own exploration of Kutaisi's old town. Overnight in Kutaisi. Early check out from hotel. Transfer to David the Builder Kutaisi International Airport. Departure from Kutaisi.